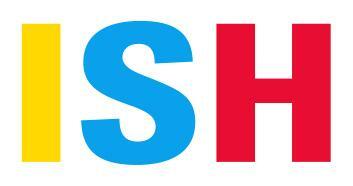 SorTech’s new products and booth concept to be a magnet at ISH in Frankfurt, Booth C94, Hall 10.2. Adsorption chiller pioneer SorTech presents its highly anticipated new product development and next generation energy saving and environmentally friendly cooling solutions at ISH in Frankfurt am Main, Germany, from March 10 to 14, 2015. Perfectly geared to the international refrigeration market, this year’s exhibit will introduce the world’s first zeolite adsorption chiller aggregate ‘eZea’ with its unique PST technology as well as the next generation eCoo, the best-selling adsorption chiller system, - the ‘eCoo 2.0’. Rounding up this groundbreaking technology exhibit, is a system-integrated reciprocator chiller for peak load supply. In addition, to ensure a high level of fail-safe operation, SorTech technology now facilitates a constant refrigeration capacity even at variable temperatures. As a first, SorTech presents its brand-new and unique zeolite adsorption aggregate ‘eZea’ for cooling applications up to 12 kW with added integrated power modus for drive temperatures 75 °C and up. The decisive progress and the core of the system are two heat exchangers, coated under the PST principle (partial support transformation), onto which the zeolite (as the adsorbent) is crystalized directly on top of the metal surfaces. Compared to conventionally coated heat exchangers (adsorbers) this SorTech innovation has an especially high power density, because in addition to its exceptional water capacities it also realizes optimal conditions for the transport of heat. This innovative composition of materials results in a significant reduction of construction size and weight of a heat exchanger, all while maintaining the same capacity. Furthermore, the utilization of zeolite allows for higher recooling temperatures and is therefore specifically formulated for application in regions with warm climates. Another SorTech exhibition highlight is the next generation silica adsorption chiller aggregate eCoo for refrigeration needs up to 15.5 kW and drive temperatures of 50 °C and higher. Numerous mechanical, ergonomic and control related improvements have been incorporated during the design process resulting in yet another performance increase. Contrary to previous eCoo machines the hydraulics of the version 2.0 models will be located above the process modules. By means of this design optimization the installation surface was reduced by almost 30 percent and the construction volume by eight percent, compared to the previous model. In order to maintain the innovative character and technological advancement of the systems, the casing itself underwent a redesign also. “Energy efficient, innovative and sustainable refrigeration applications currently are, and will remain, the development basis of our products. We live this strategy consequently, such that we succeeded once again to develop energy saving and resource preserving refrigeration solutions for businesses” concludes SorTech CEO Norbert Philipp. As an additional feature, SorTech makes its planning software available at its booth. With this app cooling aggregates and its system components can be designed to meet the specific needs of a planned refrigeration solution by flexible and simple configuration at variable design points. 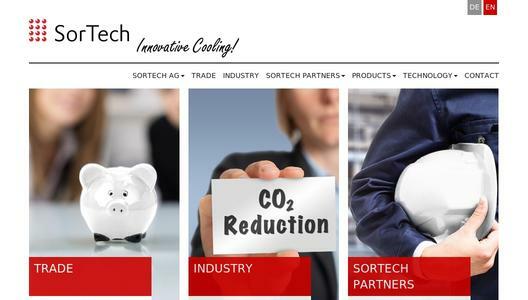 For over a decade, SorTech has been researching, developing and manufacturing successfully along the topic ‘Cold from Heat’ – creating power- and CO2-saving adsorption chiller aggregates that are being powered by unused, excess heat at a low temperature range. SorTech’s research efforts target economical and ecologically sensible solutions in refrigeration technology for industry and trade. SorTech’s intelligence is visible inside its adsorption modules: In it, one will find fin-type heat exchangers, coated with an adsorbent consisting of silica gel or zeolite. In this sector, SorTech is one of the leading manufacturers worldwide. The process is environmentally save, working with pure water as a cooling agent. In many cases, by utilizing SorTech’s compact refrigeration machines, savings of more than 90 percent of energy and operations costs can be achieved, compared to electric-powered air-conditioning units. Für die oben stehenden Pressemitteilungen, das angezeigte Event bzw. das Stellenangebot sowie für das angezeigte Bild- und Tonmaterial ist allein der jeweils angegebene Herausgeber (siehe Firmeninfo bei Klick auf Bild/Meldungstitel oder Firmeninfo rechte Spalte) verantwortlich. 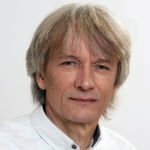 Dieser ist in der Regel auch Urheber der Pressetexte sowie der angehängten Bild-, Ton- und Informationsmaterialien. Die Nutzung von hier veröffentlichten Informationen zur Eigeninformation und redaktionellen Weiterverarbeitung ist in der Regel kostenfrei. Bitte klären Sie vor einer Weiterverwendung urheberrechtliche Fragen mit dem angegebenen Herausgeber. Bei Veröffentlichung senden Sie bitte ein Belegexemplar an service@pressebox.de. 3 Schritte: Einscannen eines QR-Codes: Der Wegweiser zu Ihrer Pressemitteilung - ganz ohne tippen! Mit Hilfe der QR-Codes, die auf der Druckversion jeder Pressemeldung abgebildet sind, finden Sie jederzeit mit dem Handy auf die entsprechende Online-Seite der PresseBox zurück - ohne die URL mühsam einzutippen. Doch wie funktioniert das Einscannen dieses QR-Codes? - Unsere Grafik zeigt die drei simplen Schritte. Alles, was Sie dafür brauchen, ist ein internetfähiges Handy oder Smartphone mit eingebauter Kamera und eine QR-Code-Lese-Software. QR steht für Quick Response - mit einem Schritt kommen Sie schnell auf eine Webseite. QR-Codes funktionieren wie Strich-Codes, die Sie beispielsweise auf Ihrer Milchtüte finden. Eine Software entschlüsselt den QR-Code und führt Sie direkt auf eine Webseite - so brauchen Sie die Internetadresse nicht einmal zu kennen, um sie zu erreichen. Entschuldigen Sie, aber um eine Pressemitteilung beobachten zu können müssen Sie leider angemeldet sein. *) Sie erhalten unsere PresseMail mit Infos zu neuen Pressemitteilungen 1x täglich. Bitte bestätigen Sie Ihre E-Mail-Adresse. unn UNITED NEWS NETWORK GmbH 2002 - 2019, All rights reserved. Systematic saving of data and the usage of parts of the database are only allowed if you have a written form of consent by unn | UNITED NEWS NETWORK GmbH. You can use the QR code at the beginning of a press release to return to the corresponding details page. You can find further information including software recommendations for your smartphone at https://www.pressebox.de/info/glossar/#7646! unn | UNITED NEWS NETWORK GmbH 2002 - 2019, All rights reserved.